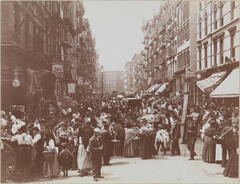 Museum of the City of New York - Street Vendors Orchard Street 1898 at Hester Street, Looking South. 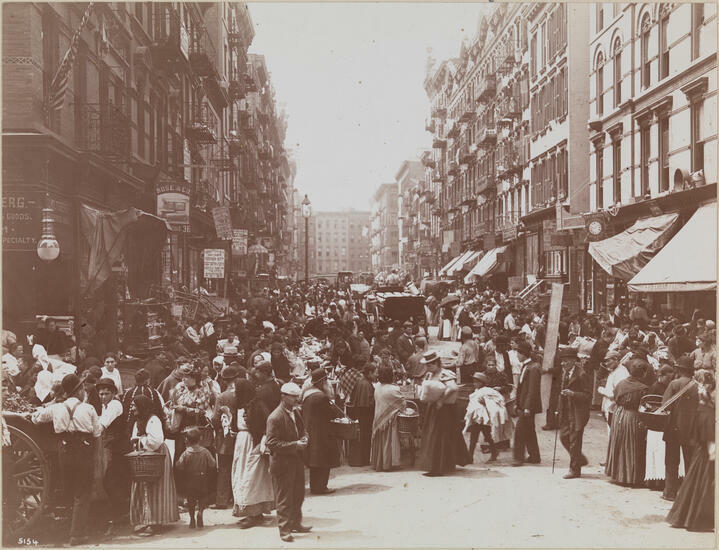 Street Vendors Orchard Street 1898 at Hester Street, Looking South. A crowd of people on Orchard Street, lined with street vendors.